Today, Jackson County announces it has joined the MITN Purchasing Group, an e-Procurement solution from BidNet, to help simplify their purchasing process and make it easier for their vendors to access and compete for bids and RFPs. Jackson County is excited to be a part of the far reaching and inclusive purchasing group, BidNet, to enhance our procurement process. 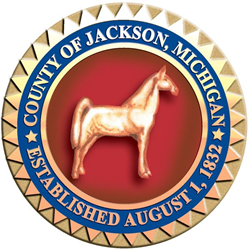 Today, Jackson County announces it has joined the MITN Purchasing Group, an e-Procurement solution from BidNet, to help simplify their purchasing process and make it easier for their vendors to access and compete for bids and RFPs. Jackson County invites all potential vendors to register online with the MITN Purchasing Group to access its upcoming solicitations by visiting http://www.bidnetdirect.com/mitn. As a member agency of the MITN Purchasing Group, Jackson County joins a community of nearly 200 participating local government agencies located throughout Michigan, including Washtenaw County, County of Livingston and County of Wayne. The MITN Purchasing Group offers a way for Jackson County to collaborate with like minded public purchasing professionals in the area in order to share resources and attract local vendors. By joining the regional purchasing group, Jackson County also benefits from BidNet’s e-procurement technology, which includes a bid and vendor management, document and addendum distribution, and tracking of all activity throughout the procurement process.